Now your playing with power. That is what Nintendo was telling us in the late eighties. I was a complete Nintendo boy. I got my first job just to get an NES. Eventually my grandparents got me a subscription to Nintendo Power, the promotional magazine for Nintendo for Christmas 1990. 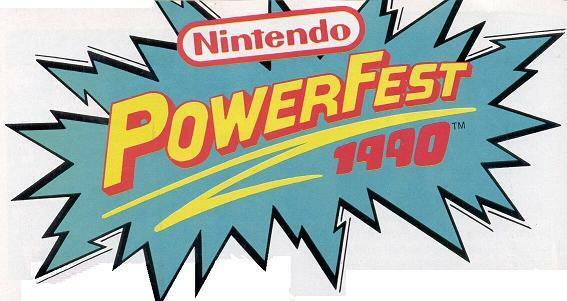 The year before the Powerfest I was buying each issue as it came along. One day while I was watching cartoons afterschool a commercial came on it was about the Nintendo World Championship and how it was coming to my town. I had to go. I was great at video games. I needed to be there. I needed to compete. I could go all the way. At least that was my thinking. I don’t remember how it all played out. I must have begged both of my parents. Neither could take me. I am assuming my father had to work and my mother didn’t want to wrangle three other kids while I played video games. I then appealed to my grandparents. My grandmother couldn’t go, but my grandfather could. Let’s take a little sidetrack for a moment. While I’m sure I consented to go with my grandfather as a last resort, he is the last man you want to take you out for an event. He likes things operating on his time. He would drag you to a tractor show and look around ten times longer than what any kid would find interesting. However, if it wasn’t one of his interests, your time was at a minimum. The infamous family story is about a family trip to Cedar Point. My grandparents were living in Michigan. They decided to take my mother and my uncle to Cedar Point in Ohio. The drive was about three hours each way. They got to Cedar Point and started to have a good time. About two hours into the family trip, my grandfather decided it was time to go. He had seen it, so he was ready to leave. This is not the man I wanted to take my so I could indulge myself in video games. Unfortunately it was to go with him or to not go at all. So together we went. It was a gray overcast day in Ohio on March 17, 1990. There was drizzle in the air in downtown Cleveland. None of that matter though. I was walking from our parking spot to the Nintendo World Championships and nothing else mattered. There is a chance we purchased the tickets ahead of time, but we may have purchased them at the door. Either way Ticketmaster managed to get their cut of the revenue. The place was jam packed with kids of all ages. A sea of video game lovers as far as the eye can see. Of course after twenty-two years I could be looking at all of this through the rose-tinted glasses of nostalgia. I was only thirteen and it was fantastic. I’m sure this is part of the reason I’m heavily into retro video games today. There were kiosks everywhere. They were setup so you could play the latest NES games. If I remember correctly all the major publishers were there. The kiosks (once again memory) had a switch that you jump between different games. This was to make sure that no single kiosk area was completely overwhelmed. There was a time limit in playing the games so they could move people through as quickly as possible. In the center you had register for your chance to compete. This part is fuzzy though. If I remember correctly you were given a ticket with a number and when your groups was called you went on through. I could be wrong though it might have been that we waited in line – I just don’t really remember. Eventually I was brought up to the competition kiosk. Since there was not an Internet at the time, I don’t think I knew what the competition games were going to be. If I had known, I would have rented the games to become more familiar with them. As it was, of the three competition games I was only familiar with one of the three. The competition cartridge consisted of three games. These were Super Mario Bros., Rad Racer, and Tetris. For Super Mario Bros. you had to get 50 coins. You then had to complete a special race in Rad Racer. The remaining time was spent in Tetris. You had 6 minutes and 21 seconds to complete the gauntlet. Then there was a formula to figure out the high score. You can read more about it on the Wikipedia Page. Super Mario Bros. was the only game I was familiar with. I had never played Rad Racer, so that slowed me down the most. I don’t remember if I had played Tetris at all at that time. If I had it would have been the Tengen version of Tetris and not the Nintendo one. I understood the rules, I just was proficient, not a great player though. Compare this to about 7 -8 years ago when I was training for Gameboy Tetris World record….. I did not score the required amount to go to round 2. That was fine, I could do it again. Unfortunately that was when the Pa wanted to leave bug hit. He was done and bored and ready to go. In his mind I did what I came to do and we could then leave. We couldn’t wait around to try again. We could not waste hours playing video games. It was time to leave. I may have gotten a reprieve of twenty minutes, but that would have been the most. 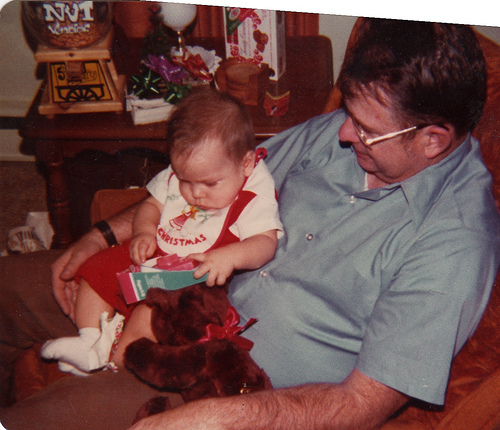 I rolled the dice ended up with my grandfather and missed out on advancing in the competition. I did attempt it though. I can also say out of big events in my life it was one of the view my grandfather and I did something. We have gone to car shows and fairs. Those were all things he was interested in though. I can say this is one of the things that I know he did just for me.